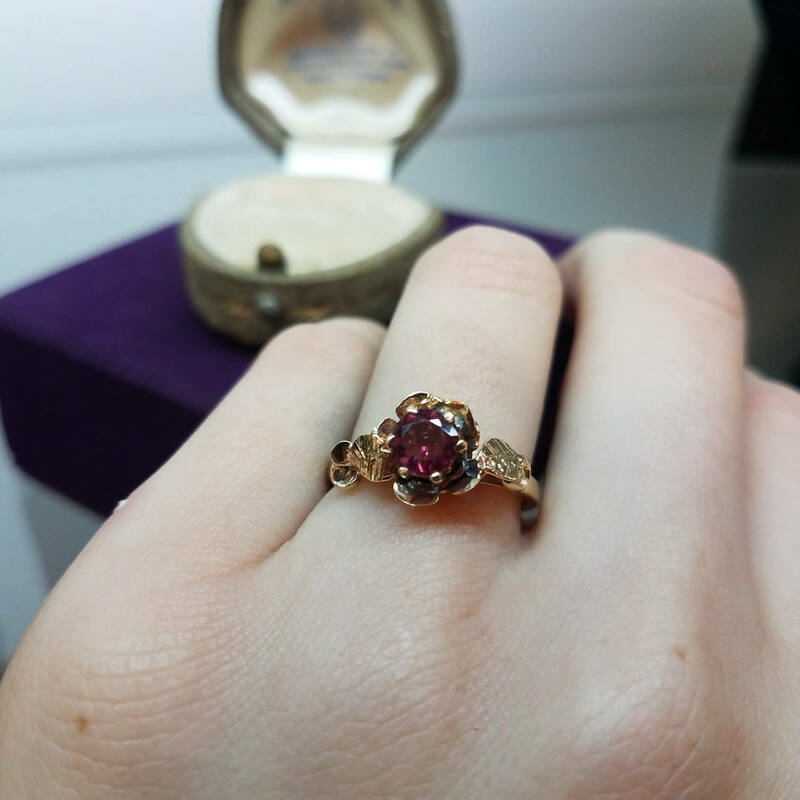 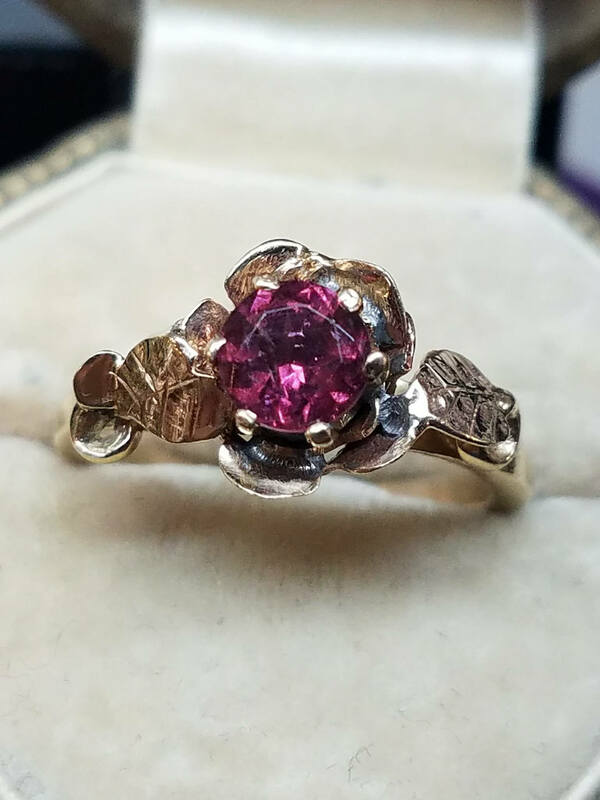 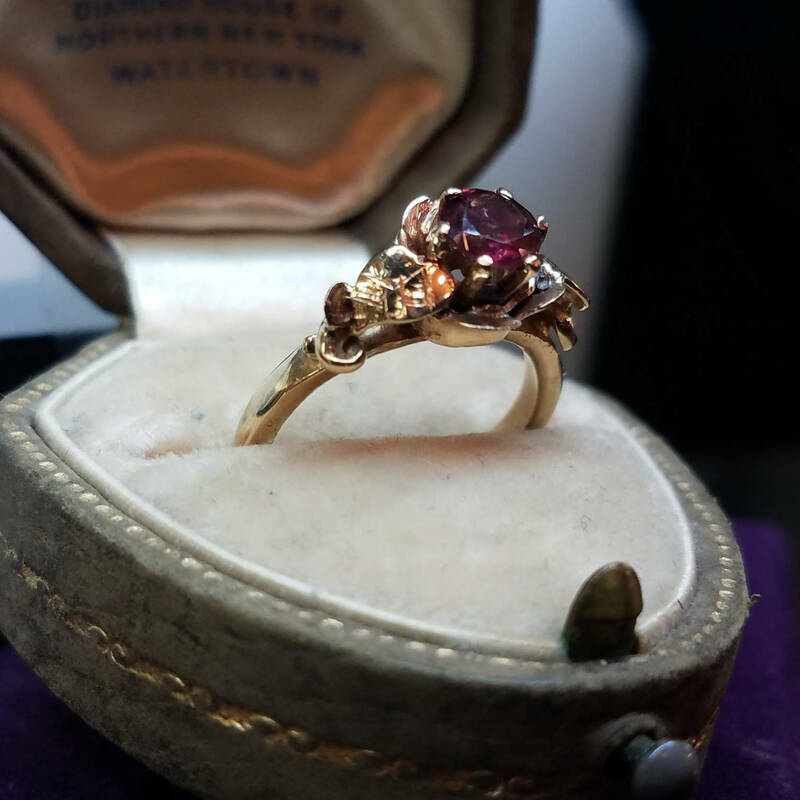 This 1970s Era ring is 10K yellow gold, with a central pink tourmaline. 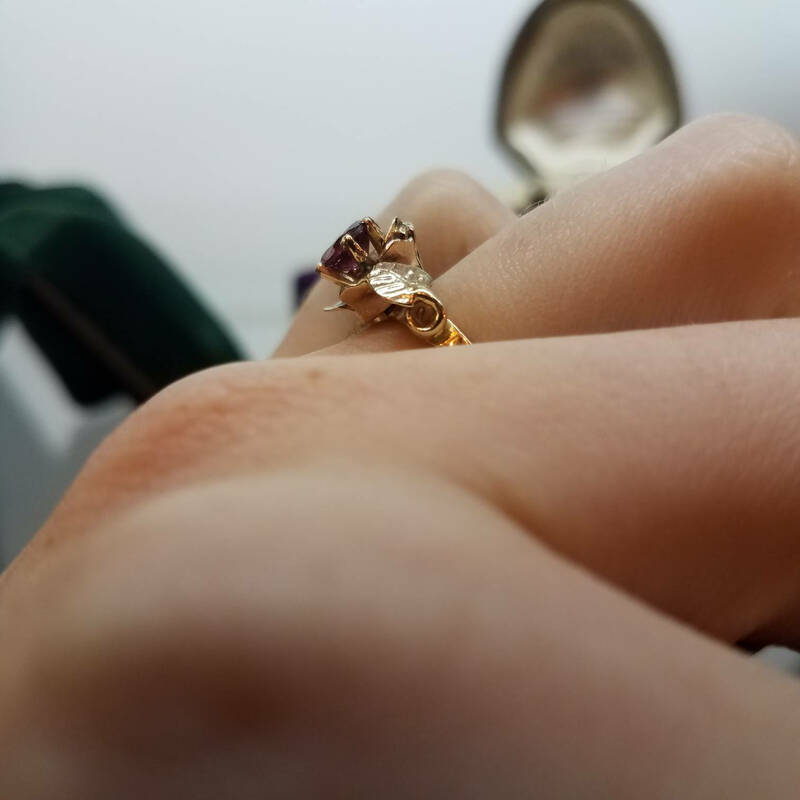 Set a little higher off of the finger, the gold is formed in petal shapes around the stone, and leaf shapes leading off to the band. 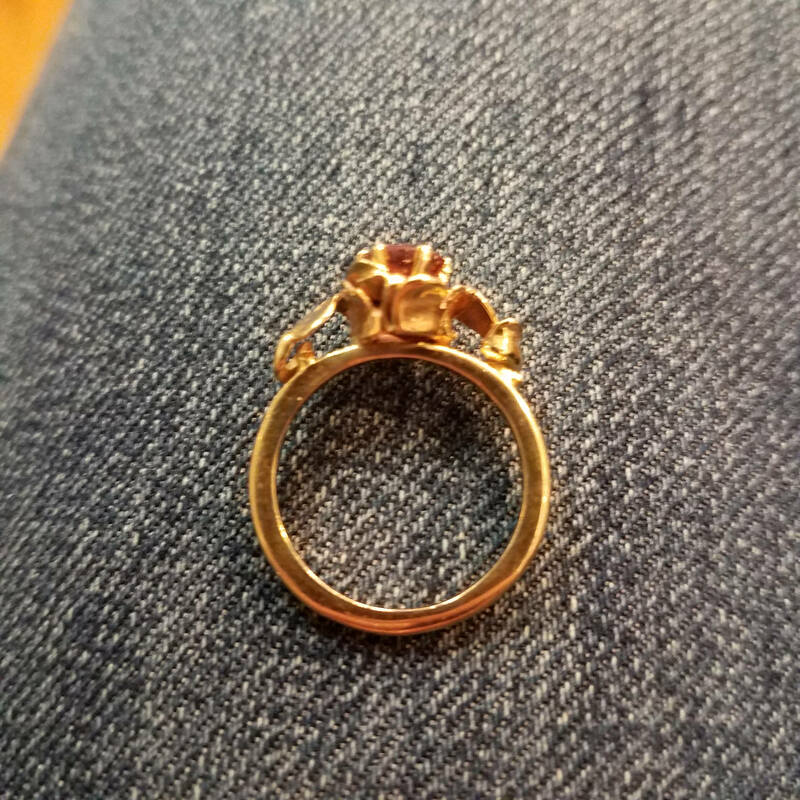 This ring is a size 5.5 and has a height of 8mm.